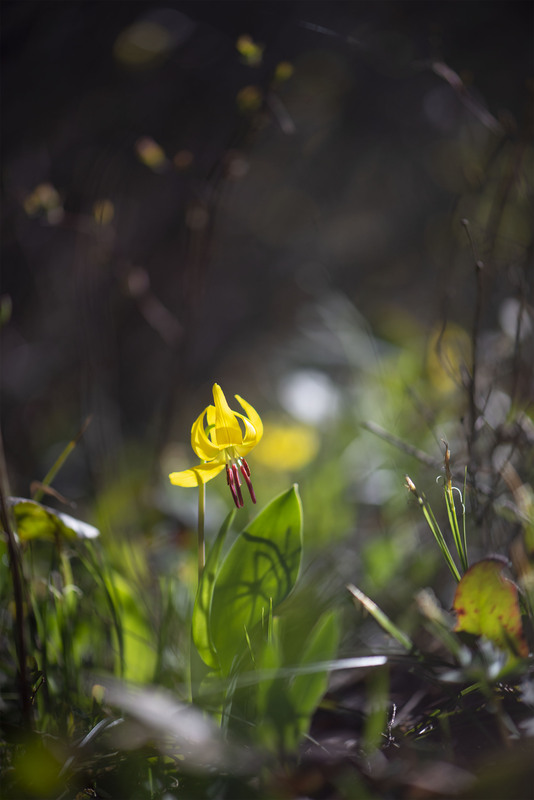 As quickly as the snow receded in early May the Glacier Lilies appeared to carpet the forest floor a beautiful yellow even before the grasses greened. Now only a month latter they have bloomed and done their thing. It’s hard to say how many photos we took of these wonderful flowers in just a few short weeks but they kept coming back to photograph them just a wee bit more more each and every day. 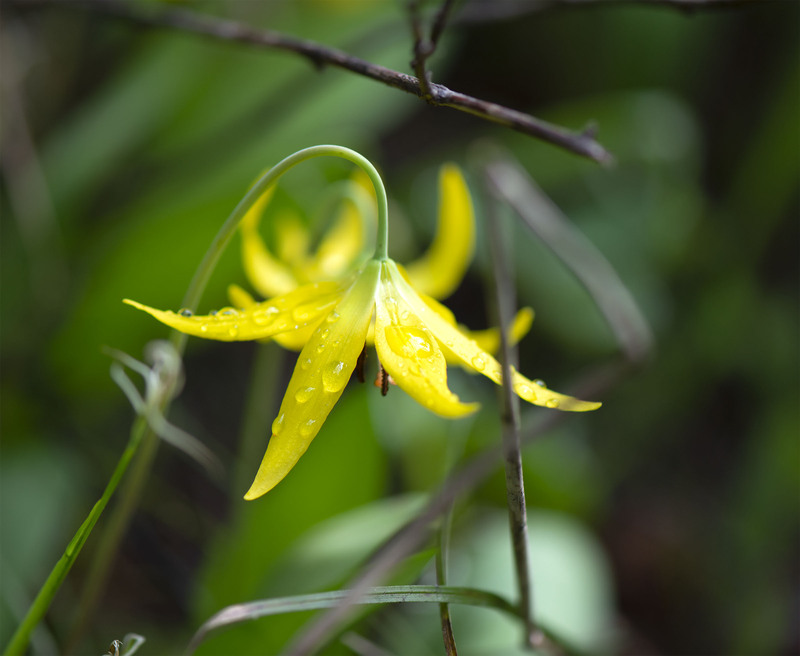 Here are a few chosen somewhat at random presented as a tribute to a wonderful wildflower. And sunny days as well. They are a nice welcoming committee to springs arrival indeed. They are quite a welcome sight after winter. Hope your weekend is going well. What a glory to come upon, and your photos are superb, Mike. I like knowing you kept coming back to them. HI Jet, I think we keep coming back to them in part because it always feels like you can capture just a little more. They are beautiful little lilies. Those are beautiful! I think we saw some of those growing in our neighborhood and was wondering if they are lilies. 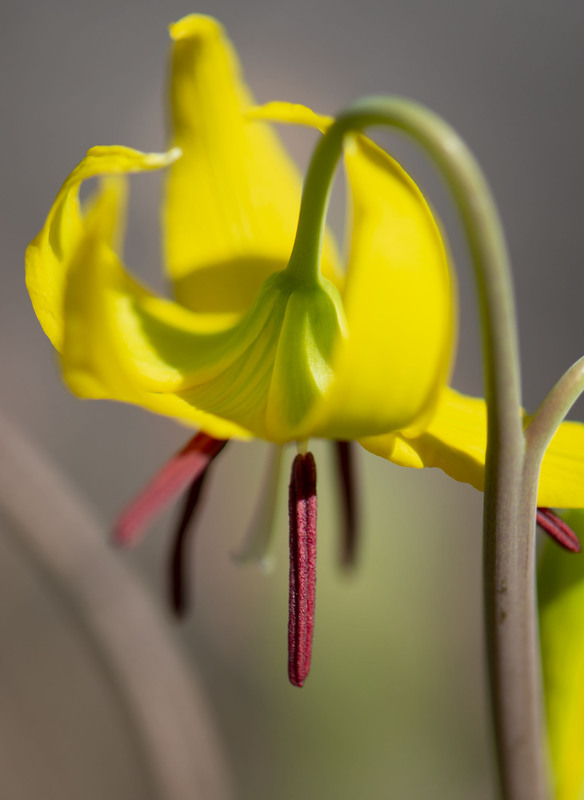 They are smaller than other lilies. 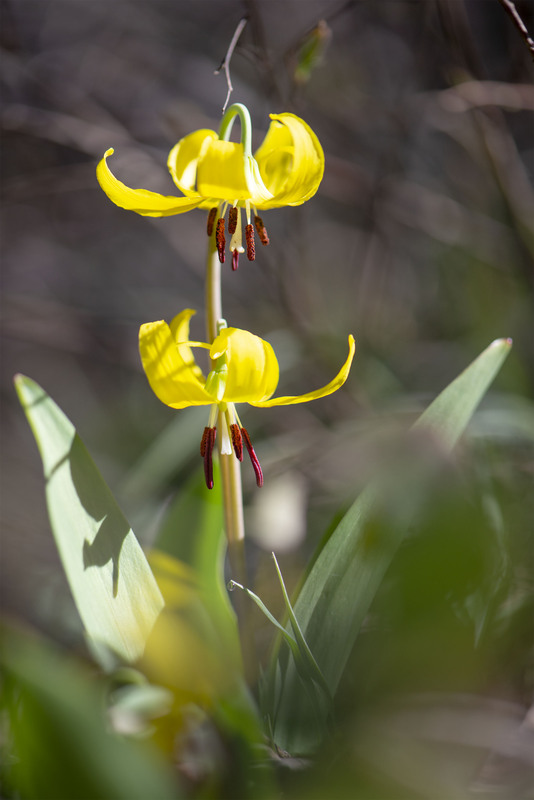 Glacier lilies is an accurate name for the area I live in! 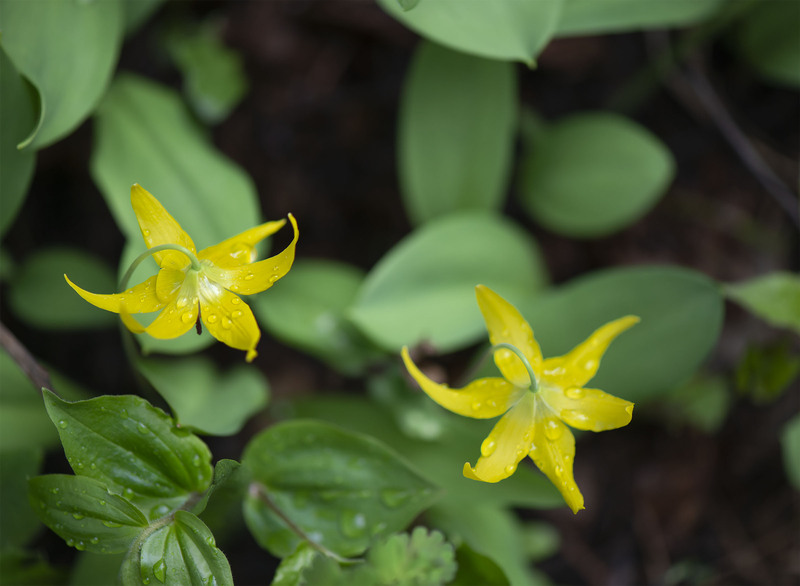 HI and yes these grow up in higher altitudes in many places and show up just as the snow melts. A wonderful little flower. Hope you are having a wonderful weekend. Beautiful shots of this lovely ephemeral. 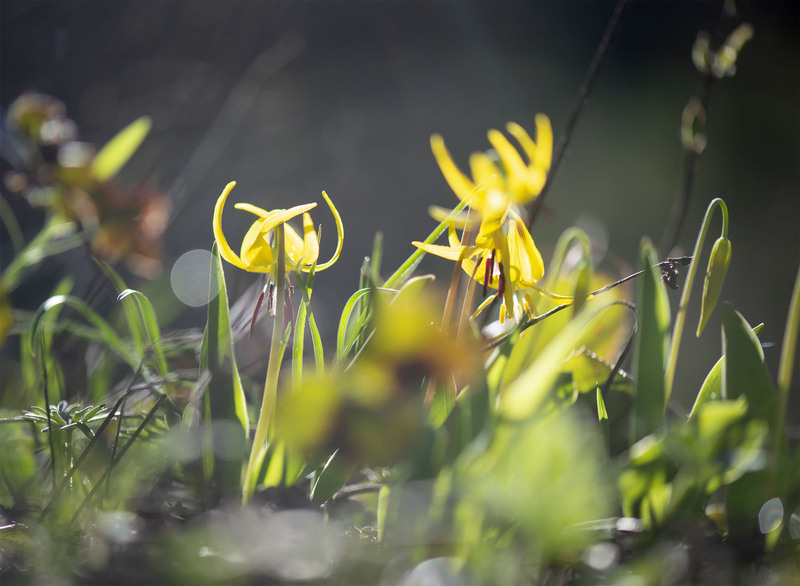 They truly brighten Spring. Thanks Eliza, this year they seemed to carpet the forest making for a wonderful start to spring. We do agree and a wonderful sight for tired winter eyes.